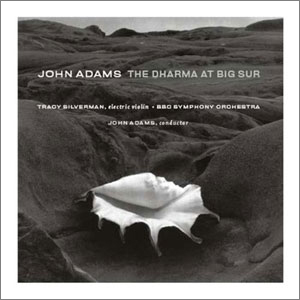 The Dharma at Big Sur was composed in 2003 for the opening of Disney Hall in Los Angeles. This new building was designed by the great Frank Gehry with whom I’d collaborated twenty years earlier on a piece called Available Light for the choreographer Lucinda Childs. Even in its earliest planning stages, Disney Hall promised to be more than just another concert hall. With the sweeping, silver-toned clouds and sails of its exterior and with its warm and inviting public spaces, the opening of this building embodied a watershed moment in the history of West Coast culture. 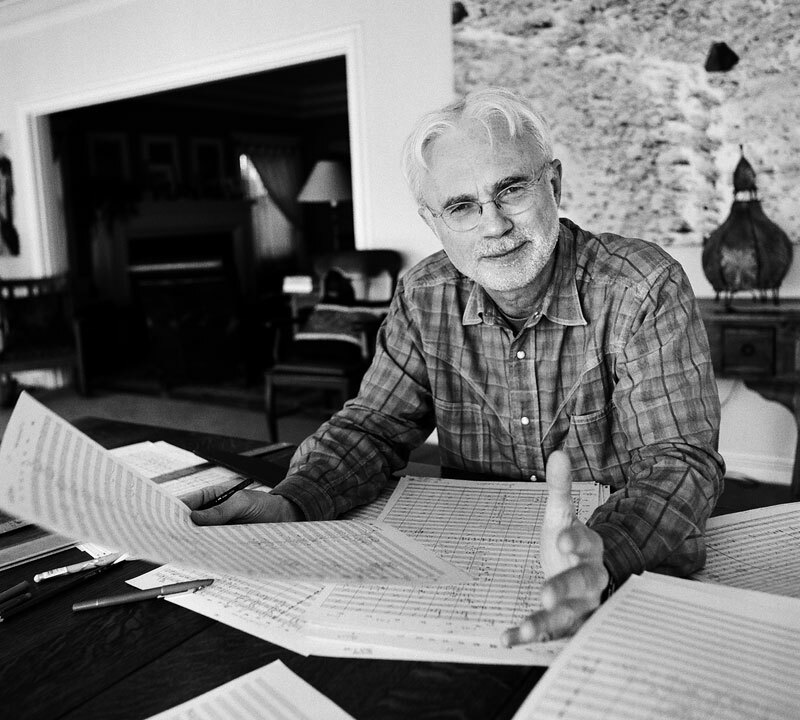 When I was asked by Esa-Pekka Salonen, the Los Angeles Philharmonic’s music director, to compose a special piece for the opening, I immediately began searching my mind for an image, either verbal or pictorial, that could summon up the feelings of being an emigrant to the Pacific Coast—as I am, and as are so many who’ve made the journey here, both physically and spiritually. 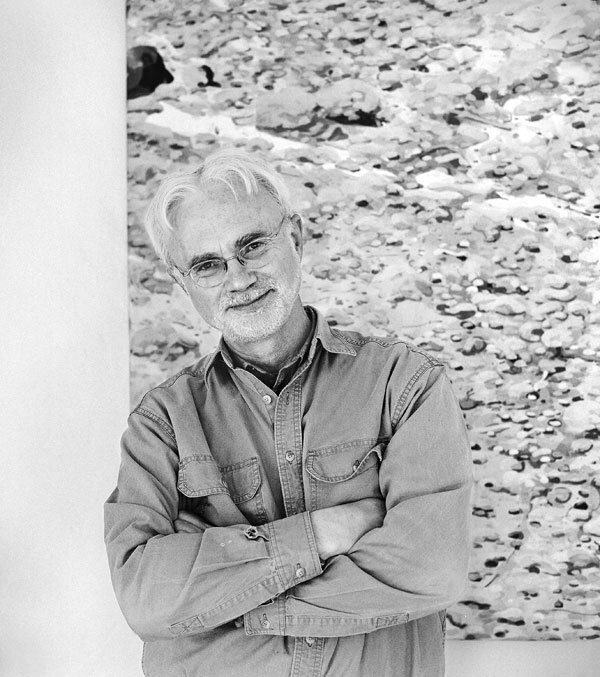 DESPITE HAVING DECLARED himself to be a “secular liberal living in Berkeley”, John Adams (born 15th February 1947) has always tended towards exploring the sacred in his minimalist compositions, The Dharma at Big Sur being one of his most ethereal. Recollecting my own homage to the Monterey coastline of California and the landscape of the Beat poets, Adams’ hauntingly beautiful concerto for electric violin and orchestra evokes wave upon wave of otherworldly nostalgia and a yearning to return to the Pacific Rim. Point Sur, Storm, Monterey Coast, California, ca. 1950. 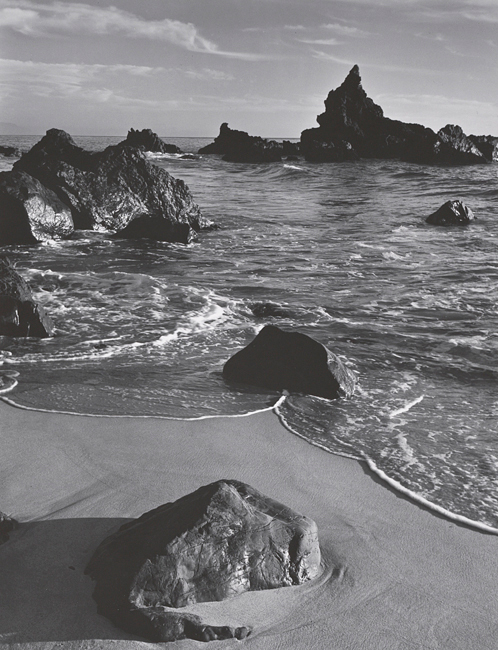 © The Ansel Adams Publishing Rights Trust. My first plan was to compose an orchestral work that would feature an actor—I had Willem Dafoe in mind—reading some of these essential Kerouac visions from the poems, from the early ‘road’ books and from that later alcoholic dark night of the soul he describes in Big Sur. The Beat poets were the first American artists to take Buddhism seriously and introduce its philosophical tenents into their literature. Anyone who doubts Kerouac’s seriousness about Buddhism need only open the writer’s posthumously published Some of the Dharma, an immense collection of personal notes, studies, revelations, communications and confessions, all having to do with his study of Buddhism and all written in the mid 1950s during the period of his greatest inspiration. But my plan took a sudden sharp turn when I heard Tracy Silverman play the electric violin at an Oakland, California jazz club in 2002. A classically trained, Juilliard-educated violinist, Tracy had left off playing the classical repertory soon after his graduation. Restless with the tedium of repeating the classical repertory and trying to fit into the narrow job description of violin virtuoso, Tracy had developed his own unique style of violin playing that was a marvel of expressiveness, the product of his having digested everything from Stefan Grapelli to the Indian saranghi to bluegrass, Robert Johnson and Terry Riley. I must confess I used to despair at the state of contemporaneous composition and its descent into atonality, dissonance and meaninglessness until I discovered a group of composers loosely called Holy Minimalists (though the composers themselves baulk at the moniker), who has created a body of acoustic sound that is contemporary, sophisticated and elegant, as well as evoking meaning and emotion at the very deepest level of being. Indeed, the collective art of Arvo Pärt, John Cage, John Tavener, Terry Riley, Philip Glass, Steve Reich and Henryk Górecki, together with John Adams, has restored my love of classical music. When I listened to Tracy play I was reminded that in almost all cultures other than the European classical one, the real meaning of the music is in between the notes. The slide, the portamento, the ‘blue note’—all are essential to the emotional expression, whether its a great Indian master improvising on a raga or whether it’s Jimi Hendrix or Johnny Hodges bending a blue note right down to the floor. Classical Western music, from Bach to the present, is dominated by the discrete twelve tones of the equal-tempered scale, those seven white keys and five black keys so iconically imprinted on our consciousness. From the time of Bach, the piano became the principal vehicle for musical conceptualizing, and since then Western art music has confined itself to these discrete pitches. Sliding or portamento, so common in jazz, rock, blues and in the music of non-Western cultures, was downgraded in Western art music to the status of expressive eccentricities, something you might hear in the fiddling of a Mischa Elman or in the old recordings conducted by Wilhelm Mengelberg or Stokowski but not in normal ‘classical’ playing. Whether it was Bach’s Well-Tempered Clavier, a Chopin nocturne or Stravinsky’s Symphony of Psalms, emotive power in the European art music tradition was the product of only the twelve discrete tones. Try to imagine an expressive ‘slide’ in the middle of a Bach motet and you could only think of it as an indecency, whereas in African or Middle Eastern religious music, the ‘keening’ or ululation of the singer is an expression of the highest devotion. 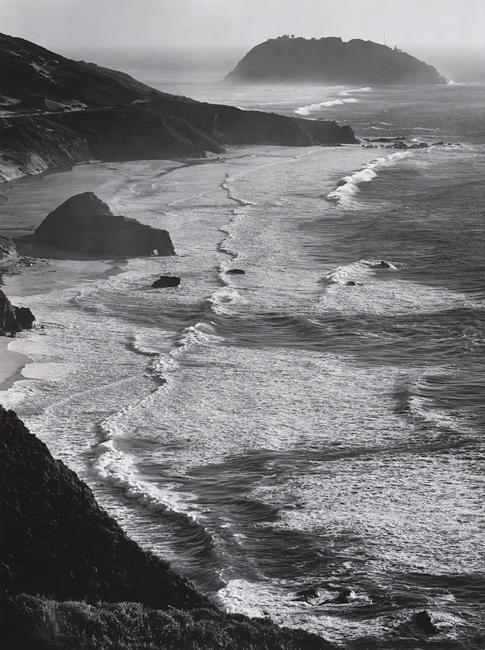 Surf and Rock, Monterey County Coast, 1951. Hearing Tracy Silverman play his six-string electric violin immediately reminded me not only of the great jazz and rock performers and Pakistani qawwali singers like Nusrat Fateh Ali Khan (where the real music is in the slide between the notes), but it also made me think of the prose style of Jack Kerouac, so deeply influenced by his listening to the rhythms and melodic arcs of improvised jazz. And this is how The Dharma at Big Sur eventually took its final shape. My goal in composing was to make music for the soloist that sounded as rhapsodic and spontaneous as possible, as if the melodies were being invented on the spot. This was no small challenge, because I wanted to compose every detail with minute attention to the phrasings and to the way that the soloist fit into the orchestral tapestry. I listened to music from many sources, both vocal and instrumental. The Persian kamancheh virtuoso, Kayan Kalhor, taught me how important ‘dirt’ can be in the grainy attack of the bow against the string. When Adams read John Cage’s book, Silence, he had an epiphany in his understanding of the intrinsic essence of musicality, whereby he realized that all types of sound could be viable sources of music. Liberated, therefore, from more conservative modes of serialism—a compositional technique in which a fixed series of notes, especially the twelve notes of the chromatic scale, is used to generate the harmonic and melodic basis of a piece and are subject to change only in specific ways—Adams was now free to experiment with electronic music and write in an amalgamation of different styles. The Dharma at Big Sur is in two parts, each dedicated to a West Coast composer who had been both a friend and an inspiration to me, Lou Harrison and Terry Riley. The first part, ‘A New Day’, is a long rhapsodic reverie for the solo violin, an ‘endless melody’ that soars above the stillness of an orchestral drone with its quietly pulsating gongs and harps and distant brass chords. The first version of this ‘concerto after Kerouac’ called for both the soloist and the orchestra to play in ‘just’ intonation, that is, with intervals between the notes of the scale differently tuned than in the conventional manner. I spent more than a month in my home studio carefully tuning my synthesizers and samplers to represent exactly the special tunings I wanted. ‘A New Day’ is an homage to Lou Harrison, who lived not far from Big Sur and who was the first significant American to compose in other tuning systems. But at the first rehearsal in Los Angeles I realized almost immediately and to my intense distress that the seventy players in the orchestra could not possibly agree on the minute distinctions between frequencies that I’d required in their parts. Furthermore brass instruments, being coils of long tubing, were unpredictable and capricious in their resonant characteristics. In later performances I had to revert to a more standard tuning for most of the orchestra, but I was still able to keep the strange ‘natural’ intervals of the brass partials and the otherworldly resonances of the harps, samplers and piano, who remain tuned to a special ‘just’ scale based on B major. The long, moody, intensely lyrical first part, ‘A New Day’, reaches a climactic moment when the orchestra, so long in the background, surges up and takes over the melody from the soloist. After a delicately cacophonous shower of tintinnabulations from the harps, piano, samplers and tuned cowbells, the tempo takes on a defined pulse, not unlike the jod, or medium tempo, section of a classical raga. The solo violin juggles a jazz-infused melody that gradually expands in scope and tessitura. This is ‘Sri Moonshine’, a tip of the hat to Terry Riley, not only the composer of In C and A Rainbow in Curved Air, but also a master of Indian raga singing. The easygoing roll of the rhythm gives way to a more insistent throb, producing a dance-like effect like a gigantic, pulsing gamelan. The solo violin flies high and swoops down like a seagull moving in a wind storm. The brass instruments, so quiet and reserved at the beginning of the piece, now fill the acoustic space with great surging walls of resonance. Low tuned gongs mark the inner structure of the music as it vibrates over and over on one enormous, ecstatic expression of ‘just B’.